Today, the Dodgers go up against the division-leading Arizona Diamondbacks at Chase Field. The Dodgers are coming off a split series against the Giants where they outscored the Giants 14-2. This is the start of a six game road stretch with three in Arizona, and three in San Francisco over the weekend. Hyun-Jin Ryu will take the mound to make his season debut against the Diamondbacks No. 4, Taijuan Walker. Besides Clayton Kershaw being the No. 1 in the rotation, Ryu being fifth was the only other given. The Dodgers were 8-11 against Arizona last year in the regular season, their first losing season against the Diamondbacks since they went 9-10 in 2013. However, if you recall as vividly as I do — the Dodgers swept the Diamondbacks in the NLDS which brought the overall 2017 series to .500 at 11-11. Joc Pederson gets the nod in center, and after batting 7th on Sunday, is leading off today against the right-handed Walker. Logan Forsythe returns to third, looking to improve upon his three-error performance from Friday night. Utley gets his second start of the year at second. Matt Kemp is back in the lineup after a day off to get Enrique Hernandez in the lineup yesterday. The Dodgers are essentially running the same lineup as they did on Friday night against Cueto — the only difference being Chris Taylor has his first day off with Pederson replacing him in center. Ryu has a tough act to follow, as so far the Dodgers starters have gone 25 innings while allowing only one earned run. That lone run allowed belongs to Kershaw. That is good for a 0.36 ERA, best of all starting rotations. The bullpen has been equally dominant. In 11 innings the Dodgers bullpen has allowed only 1 earned run, a solo homerun allowed off of Kenley “Who cares?” Jansen. That is equal to a 0.82 ERA which ranks second behind only the Cubs at 0.75. After missing all of 2015 and pitching only 4.2 innings in 2016, Ryu miraculously managed to accrue 126.2 innings in 2017. Ryu finished the season with a 5-9 record, a 3.77 ERA, 1.37 WHIP, 4.74 FIP, 116 strikeouts and interestingly — one save. He didn’t pitch in the playoffs as the Dodgers had too many superior starters, and Kenta Maeda was better suited for the bullpen. Also, in late September, he was hit in his pitching arm by a line drive off the bat of Joe Panik. Not that it mattered in the long run, it’s just notable that Panik was a true hatable Giant long before his heroics in the first two games of this season. For the snakes, Walker went 9-9 in his first season with Arizona. The 25-year-old had the best year of his young career, with a 3.49 ERA, 1.33 WHIP, 4.04 FIP, and 146 strikeouts over 157.1 innings. Walker was 2-0 in three starts against LA last year. The Diamondbacks were 3-0 with him on the mound against us. In those 16.2 innings he had a 3.24 ERA, 1.20 WHIP, 2.80 FIP, and allowed a batting average of only .238. Against Arizona, Ryu was 0-1 in two starts with one no-decision. The Dodgers were 0-2 against Arizona in the two games he started. In his 10 innings, he had a 6.30 ERA, 1.90 WHIP, 7.66 FIP, and allowed a batting average of .275, however that was accompanied by a .575 slugging percentage. The last time the Dodgers faced Walker was in Game 1 of the NLDS. Walker lasted all of one inning, where he got shelled for four runs before being removed. 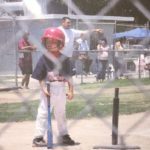 On the year Ryu had a 3.77 ERA, 1.37 WHIP, 4.74 FIP. If you removed his two starts against the Diamondbacks, he had a 3.55 ERA, 1.32 WHIP, 4.49 FIP. They really hit him hard. When Ryu last started in Arizona he allowed eight hits including three home runs, and a double. He went four innings, allowed six earned runs and in addition walked three. This is the Dodgers first game at Chase Field since the humidor was installed over the off-season. 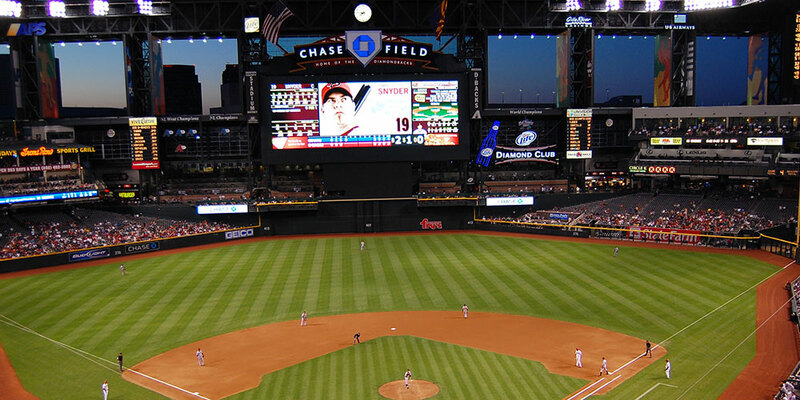 Surprisingly, Chase Field is located at the second highest elevation of all MLB ballparks, behind only Coors Field. Chase Field was fourth in home run rate, and first in double rate. The humidor should effectively reduce those park factors closer to league average. Today, the Dodgers acquired RHP Jesus Liranzo from the Orioles in exchange for minor league LHP Luis Ysla. Liranzo will be optioned to Double-A Tulsa. In order to create room on the 40-man roster, Dodgers transferred RHP pitcher Tom Koehler to 60-day DL (retroactive to 3/26). The most significant part of this may simply be that Tom Koehler is now on the 60-day. This means the earliest you could expect to see Koehler back is the very end of May. However, Luis Ysla wasn’t ranked in Dustin’s Top 100 prospects and didn’t look to have much of a future in this organization. While the Orioles have a consensus bottom third farm system, according to MLB.com, in 2017 Jesus Liranzo ranked 22nd in the system, and 26th in 2018. Liranzo’s control is well below average, especially when it comes to his fastball, and he’ll need to issue significantly fewer free passes to be successful at higher levels. With improvement on that front, Liranzo could emerge as a high-leverage reliever. Seems like a decent get for a guy like Ysla. Liranzo will be optioned to Double-A Tulsa and be added to the 40-man roster. Daniel Hudson is interesting at the league minimum. The 31 year-old vet made 71 appearances for Pittsburgh last year out of the bullpen. In 61.2 innings, he had a 4.38 ERA to go along with a 1.46 WHIP. There are a handful of relievers likely ahead of him but he is interesting nonetheless. If you asked me before the season, I wouldn’t say much separated Hudson and Koehler except for Hudson has a longer track record of being a reliever. First pitch is scheduled for 6:40 PM PST on SNLA.